3:03pm: ESPN’s Jerry Crasnick tweets that Milone would earn a $1.2MM base salary in the Majors, and his contract contains another $1MM worth of performance incentives. 8:18am: The Nationals have struck a minor-league deal with lefty Tommy Milone, according to reports. It seems the first mention came from this Twitter account, with SB Nation’s Chris Cotillo (Twitter link) and the Washington Post’s Chelsea Janes (Twitter link) confirming the signing. Milone, who’ll turn 30 in February, returns to the organization where he got his start. He memorably swatted a home run in his debut with the Nats and seemed slated to compete for a rotation spot the following spring. Instead, Milone was included as part of the package that brought back Gio Gonzalez from the Athletics. Since that time, the soft-tossing southpaw has thrown over 700 innings in six MLB seasons. He spent a few years as a steady, if unspectacular, starter with the Athletics and Twins. More recently, though, Milone has bounced around and struggled at the major-league level. Over the last two seasons, he has pitched to a 6.50 ERA over 117 2/3 innings. Milone will join a group of pitchers hoping to find a spot in the pecking order in D.C. Unless there’s an injury or the Nationals fail to add a fifth starter, Milone will enter camp with little more than an outside shot at making the MLB roster as a long man. But if he shows well, Milone could be among the first men up if a need arises. I usually root for the soft tossers because I’m the kind of guy who thinks you don’t have to throw +95mph to succeed, but this guy is terrible. Just don’t let him pitch against the Angels. That’s all I will say. AJ Cole, Derek Norris and Tommy Milone were all traded by the Nats in 2011 for Gio. Since then, they each have ended up back with the Nationals organization. Brad Peacock is the only player traded by Washington who did not end up back with the Nationals yet. What about Robbie Ray of the Diamondbacks? Ray wasn’t in the Gonzalez deal. He was traded to the Tigers, not Oakland. Try him as a middle reliever, he has not been effective as a starter. Wow…. 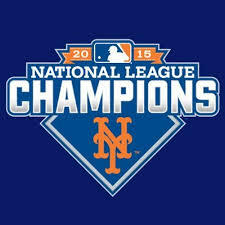 As a Mets fan, it really hurts to see a franchise icon leave and sign with a division rival. start burning your milone jerseys. For sure. And I’ll go buy a new one in 4 years if King Milone returns home. Hey Reflect—you’re not surprised are you? Yeah, good luck with that Nats fans. I know he’s just depth but you’re better off sticking one of your position players on the mound. This is going to hurt the Mets. Bigly. Leave the politics off this comment section.